You’ll start seedlings using the seed kit provided with your purchase; and when they are ready (approximately 1-3 weeks later, depending on the plant), you’ll transport them into your Tower Garden. Note: if you don’t have time to start your own plants or prefer not to you can always get seedlings here from True Garden. Once your seedlings are in Tower Garden, they will be nourished with the Tower Tonic® nutrient solution to grow. 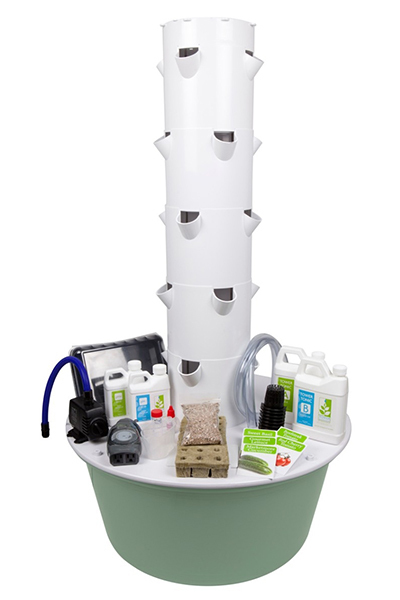 The residential Tower Garden comes with all the necessary supplies and accessories for you to grow plants for 2 years. The new 2018 Tower Garden comes with energy efficient LED growing lights for indoor growing. We have ordering tips and would love to answer any questions before you place your first order. 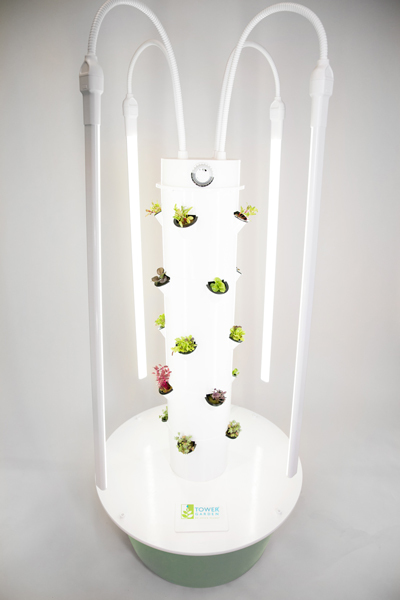 What is a Tower Garden Vertical Aeroponic Growing System? How Does a Tower Garden Work?